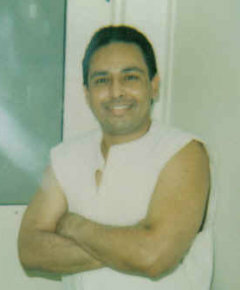 On this date in 2005, Luis Ramirez was executed in Texas for engineering the murder-for-hire of his ex-wife’s new flame. Ramirez went to his death still insisting on his innocence. I did not kill your loved one, but I hope that one day you find out who did. I wish I could tell you the reason why, or give some kind of solace; you lost someone you love very much. The same as my family and friends are going to lose in a few minutes. I am sure he died unjustly, just like I am. Contrary to the widespread misapprehension that DNA and other forensic evidence are rendering criminology a perfect science, the majority of criminal procedures make do without them — consequently depending on the more impressionistic and time-honored pillars of jurisprudence: a weighing of circumstantial evidence; an estimate of the credibility of competing witnesses; the structural advantage of the well-resourced prosecutor’s office against its typical adversaries. There may never be an answer to Luis Ramirez’s last statement, simply because there’s no obvious prospect of a dramatic forensic science reveal. Wherever Ramirez’s soul might truly stand on the matter of capital murder, he left behind this interesting portrait of human connection on death row. I’m about the share with you a story who’s telling is long past due. It’s a familiar story to most of you reading this from death row. And now it’s one that all of you in “free world ” may benefit from. This is the story of my first day on the row. I came here in May of 1999. The exact date is something that I can’t recall. I do remember arriving in the afternoon. I was placed in a cell on H-20 wing over at the Ellis Unit in Huntsville, TX. A tsunami of emotions and thoughts were going through my mind at the time. I remember the only things in the cell were a mattress, pillow, a couple of sheets, a pillow case, a roll of toilet paper, and a blanket. I remember sitting there, utterly lost. The first person I met there was Napoleon Beazley. Back then, death row prisoners still worked. His job at the time was to clean up the wing and help serve during meal times. He was walking around sweeping the pod in these ridiculous looking rubber boots. He came up to the bars on my cell and asked me if I was new. I told him that I had just arrived on death row. He asked what my name is. I told him, not seeing any harm in it. He then stepped back where he could see all three tiers. He hollered at everyone, “There’s a new man here. He just drove up. His name is Luis Ramirez.” When he did that, I didn’t know what to make of it at first. I thought I had made some kind of mistake. You see, like most of you, I was of the impression that everyone on death row was evil. I thought I would find hundreds of “Hannibal Lecters” in here. And now, they all knew my name. I thought “Oh well,” that’s strike one. I was sure that they would soon begin harassing me. This is what happens in the movies after all. Well, that’s not what happened . After supper was served, Napoleon was once again sweeping the floors. As he passed my cell, He swept a brown paper bag into it. I asked him “What’s this?” He said for me to look inside and continued on his way. Man, I didn’t know what to expect. I was certain it was something bad. Curiosity did get the best of me though. I carefully opened the bag. What I found was the last thing I ever expected to find on death row, and everything I needed. The bag contained some stamps, envelopes, notepad, pen, soap, shampoo, toothpaste, tooth brush, a pastry, a soda, and a couple of Ramen noodles. I remember asking Napoleon where this came from. Ever since Napoleon was executed, for a crime he committed as a teen, I’ve wanted to share this story with his family. I would like for them to know that their son was a good man. One who I will never forget. I want for them to know how sorry I am that we as a society failed them and him. I still find it ridiculous that we as a people feel that we cannot teach or love our young properly. I’m appalled at the idea that a teen is beyond redemption, that the only solution that we can offer is death. It’s tragic that this is being pointed out to the “good people” by one of the “worst of the worst”. God help us all. What’s in the brown paper bag? I found caring, kindness, love, humanity, and compassion of a scale that I’ve never seen the “good people” in the free world show towards one another.